Jay-Z Wows Crowd at "Made in America"
After months of anticipation, rapper Jay-Z performed Saturday night at the "Made in America" festival in Philadelphia. President Obama made a surprise appearance on a screen behind him during the show, telling the crowd the music mogul is someone who "refused to quit." The president said the event shows "what's possible when people from all walks of life go as far as their talents will take them." He signed off, after telling everyone at the concert to register and vote. More than 43-thousand people attended today's festival on the Ben Franklin Parkway. It was curated by Jay-Z. Some got there early Saturday morning, to stake out a good spot. "We love music, we're a crew so we came down to enjoy the show" said South Philly's Hamas Salih. 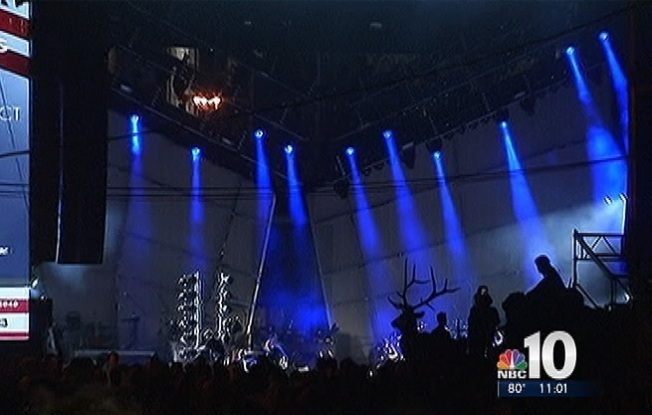 Bridget Moore of Washington Township told NBC10 "I bought tickets as soon as they went on sale." Seven camera crews are shooting footage of the two-day event for a film set to be released in 2013. Oscar-winning director Ron Howard is directing the movie. Philadelphia police say so far, so good. There have been no arrests. According to the Fraternal Order of Police, hundreds of officers were told as early as 4 a.m. not to report to the concert venue. The FOP tells NBC10 staff was cut in half for the 2-day event. Not so, says police commissioner Charles Ramsey. "We didn't cut staffing in half, that's not accurate" said Ramsey. " We've been going over our staffing to see whether or not we have people properly deployed. And if we have than what we need, then there's no point in having people work."